When people describe themselves, are they accurate? People do have some self-knowledge, but often times, other people know more about us than we do. The SKIP lab explores blind spots in self-knowledge and how to shed light on these blind spots (e.g., via mindfulness). Do people know their reputations? Do we know how other people perceive us? If not, how can we form more accurate perceptions? And is it good to be accurate about our reputation, or should we just assume the best? Our lab examines these questions by first asking people to guess how different types of acquaintances perceive them (e.g., peers, coworkers, family members, friends, a romantic partner). Next, we ask these acquaintances to actually provide their impressions. Thus far, it appears that people do have some insight into their reputation, but insight is far from perfect. Furthermore, we find that the degree to which it is adaptive to know what others think can be complex. Stay tuned for more! Do people with personality problems lack self-knowledge? People with some forms of pathology, such as narcissism, do tend to form inaccurate self-perceptions. However, there is some evidence that people with narcissistic tendencies and other forms of pathology (e.g., Avoidant PD) actually understand how other people perceive them. The lab also explores interpersonal consequences of personality problems. For example, we find that people with more narcissistic traits tend to attain higher social status early on but lose their social value over time. Carlson, E. N., Naumann, L. P., & Vazire, S. (2011). 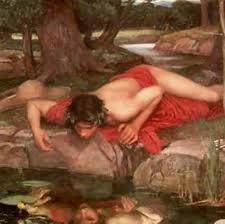 Getting to know a narcissist inside and out: Self and other perspectives on narcissism. In W. K. Campbell & J. D. Miller (Eds.) Handbook of narcissism and narcissistic personality disorder: Theoretical appraoches, empicial findings, and treatments. Hobeken, NJ: John Wiley & Sons.